An unplanned pregnancy is indeed tough. Having said that, you should never jump on a bandwagon and have pregnancy termination or continue the pregnancy just because other women are also doing it. Abortion is a different story for everyone. You should think twice before taking any decision, once you take it, you should not feel regretful of your deeds. 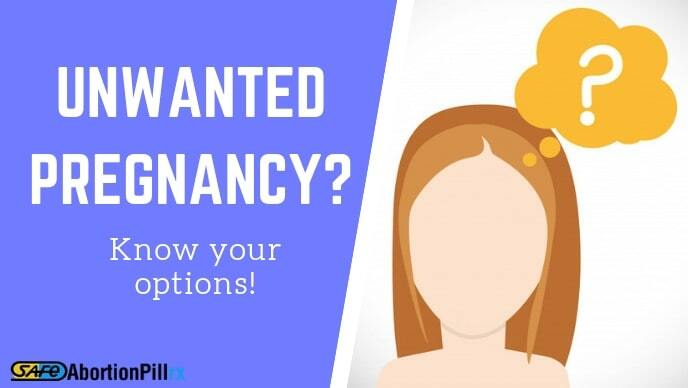 Hence this blog helps you understand the options available with you in the situation of an unwanted pregnancy. If you feel that this pregnancy could bring positive change in your life and would make it better, you should. Continue the pregnancy if you wish to, however, take the decision at the earliest. Because you should not be too late if you wish to have an abortion since it implies complications which can be deadly at times. Surgical abortion is when you can end an unwanted pregnancy with the help of surgical instruments. Suction or dilation are the two ways of doing a surgical abortion. You have to go to the clinic to get it done. The surgical abortion procedure is suitable for pregnancies more than 9 weeks of gestation. The side effects of surgical abortion can be infection or impact on future pregnancies. In some cases, the side effects could be permanent. You can perform a medical abortion without using any surgical devices. There are two medications which are used for the process of medical pregnancy termination. You can find these safe abortion pills online on pharmacies websites. Buy from the one which is decent and offers pregnancy termination medications on time at an affordable cost. Once you receive these abortion pills, you can begin administering the medicines at the earliest. Consum them as instructed by your healthcare provider. You will be expecting two major symptoms of medical abortion. After the first pregnancy termination medicine stops the development of pregnancy in 24 hours, the second pill initiates the content removal process. The second pill, Misoprostol causes contractions, thereby leading to stomach pain and vaginal bleeding for a few days. If you undergo a medical abortion procedure, ensure that you go through these two symptoms. If not, get medical help for the same. The abortion medicines side effects can although be painful they are not permanent. Visit your doctor for any prolonged side effects. If the pregnancy is normal and in the first trimester, medical abortion is economically a great option and the safer one among the two. For rest cases, you should consult your physician who may suggest surgical abortion method for ending the pregnancy. This entry was posted in online pharmacy and tagged medical abortion .